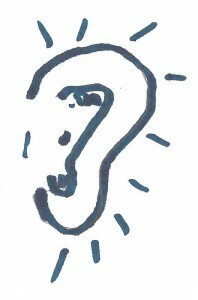 Active listening is a skill that has to be learned and developed over time. As a customer service representative, you must continually practice your listening skills in order to deliver good customer service. Many people believe they are doing so, when in fact, they are only hearing the words (which is a passive physiological process in the body). To deliver excellent customer service, you must actively listen to get what customers are actually saying verbally and nonverbally. Here are four tips for actively listening to your customers that can enhance the quality of service that you deliver. Stop doing other tasks and focus on what your customers are saying in order to increase your listening efficiency. Ask clarifying questions where appropriate to ensure that you ensure that you received the message they intended. Take time to slow down and actively listen to customers in order to make them feel important and allow you to better identify and meet their needs. This is important because many people spend time thinking about what they will say next rather than listening to what is being said. If you do this, your customer-provider relationship could suffer. Do your best to listen well so that you can get at the customer’s meaning or need. Don’t rush a customer who seems to be processing information and forming opinions or making a decision. This is especially important after you have presented product information and have asked for a buying decision. Answer questions, provide additional information requested, but don’t push. Doing so could frustrate, anger, and ultimately alienate the customer. You could end up with a complaint or lost customer. In dealings with customers, try to avoid subjective opinions or judgments. If you have a preconceived idea about customers, their concerns or questions, the environment, or anything related to the customers, you could mishandle the situation. Listen openly and avoid making assumptions. Allow customers to describe their needs, wants, or concerns in their own words, and then analyze them fairly before taking appropriate action. For additional suggestions and strategies for delivering exceptions customer service, get a copy of the book Customer Service: Skills for Success. This entry was posted in Customer communication, customer satisfaction, customer service 101, customer service over the telephone, customer service representatives, customer service skills, delivering excellent customer service, Projecting a positive telephone service image, Service 101, telephone etiquette, Uncategorized and tagged active listening, active listening skills, communicating with the customer, customer service representative, excellent customer service, good customer service, listening, listening actively. Bookmark the permalink. Thank you. Glad you are finding value in the blog. Please feel free to share the posts with others. Thanks for taking time to leave feedback Juliet. I am glad you are finding value in the postings.